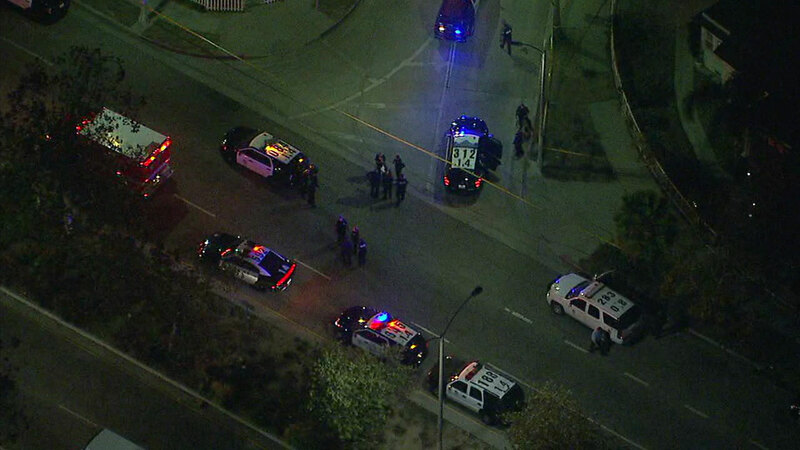 VENICE, LOS ANGELES (KABC) -- Los Angeles Police Department officers shot and killed a man who was armed with a rifle Friday night at a home in Venice, officials said. Officers from the LAPD's Pacific Division responded about 8:30 p.m. to a residence in the 800 block of Venice Boulevard "in an attempt to keep the peace," the agency said in a statement. When they arrived at the scene, a woman met them outside the home and said a man was inside destroying property, according to the news release. The officer-involved shooting occurred when they approached the front door and encountered the suspect, who was armed with a rifle, police said. Los Angeles Fire Department paramedics transported the unidentified man to a hospital, where he was pronounced dead.